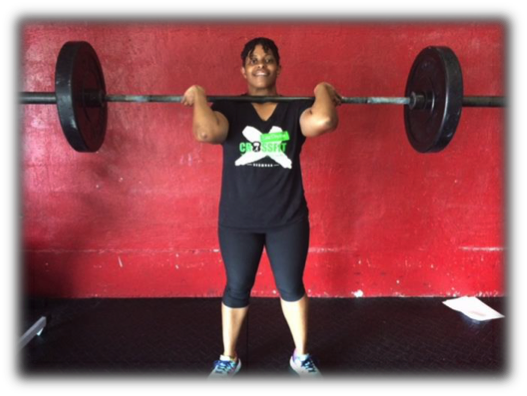 Zest Wellness Member, Treavina Davis, has used healthy habits and S.M.A.R.T. goals to achieve success in the program and her life. She answered a few questions we had for her about motivation and tips for anyone wanting to improve their life through health and wellbeing. Keep reading to hear a little bit about how she did it and how she continues to stay motivated! 1. What are your fitness goals? Present or Past? My past goal was to lose as much weight as possible. I never looked at the whole fitness and health part of wellness. I just wanted to be skinny. Now, I am more focused on being healthy and fit. Those types of goals lead to a healthier, more sustainable type of weight loss. 2. What exercise has helped you hit your fitness goals? A lot of weight training mixed with some cardio. I don’t think one particular exercise can do it all. 3. What tips or tricks would you give another Zest Wellness member trying to reach their fitness goals? Be consistent and set small goals. 4. What is your daily step count and how do you ensure you reach it every day? I average between 10,000-14,000 steps per day. I do this by taking the stairs, exercising, going for a short 5 minute walk outside, and taking a walk around the office. 5. What motivates you to stay on track with your health and fitness goals? Seeing where I have started to where I am now and the confidence that it has given me pushes me daily. Being able to feel good about yourself is an amazing feeling. 6. 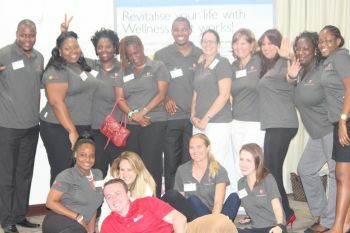 What is your favorite Zest wellness feature? I like the fitness classes because they add variety to my routine. 7. What is your favorite healthy snack? 8. What is your favorite exercise? Running - I was never able to run, so being able to go distances and cut my time down over a period of time is a great accomplishment for me. Weighted Back Squats - it increases my strength. Great job Treavina! Your constant motivation and positive attitude are inspiring!